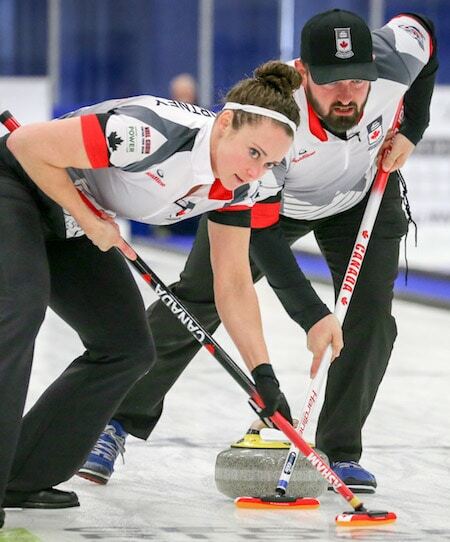 Canada’s Joanne Courtney (Edmonton) and Reid Carruthers (Winnipeg) held a 5-2 lead through seven ends over Switzerland’s Martin Rios and Jenny Perret on Saturday afternoon at the ATB Centre. 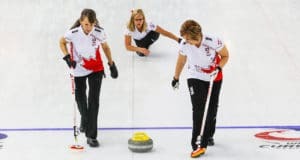 But a miss from Courtney on her final shot of the game opened the door for the Swiss to claim their leading sixth gold medal in the 10-year history of the event as Perret drew for a stunning four for a 6-5 victory. 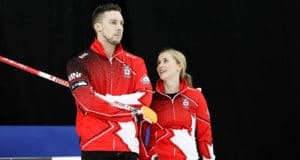 Among those accomplishments were a best-ever finish for Canada at the World Mixed Doubles; in the previous nine editions, Canada had won just one medal, a bronze in 2009 by Alli Flaxey and Sean Grassie. 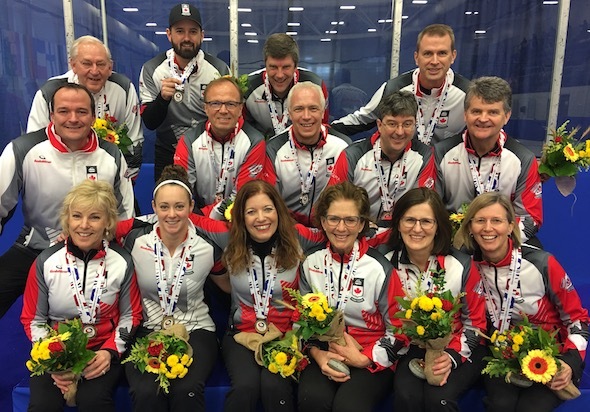 Additionally, Canada locked up a berth in the 2018 Winter Olympics in Pyeongchang, South Korea, where mixed doubles curling will make its debut as a medal sport. Canada will be joined by host South Korea, Switzerland, the United States, Finland, Norway, China and Russia. 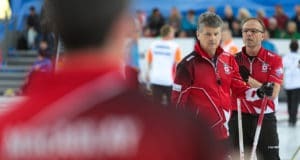 Canada had barely scraped into the 16-team playoffs with a 5-2 record, but rattled three playoff wins, including a 5-4 extra-end win over China’s Rui Wang and Dexin Ba in the semifinal. Canada’s first Olympic Mixed Doubles Trials will be held in early January, with a location to be announced in the next week or so. Courtney and Carruthers are among the teams who have already clinched berths.